The first schedule of Nagarjuna starrer Manmadhudu 2 has been completed. The shooting commenced a week ago. Director Rahul Ravindran tweeted that the first schedule has been wrapped. He wrote, ""And it’s a wrap for our first schedule:)"
A special set was erected in Hyderabad. 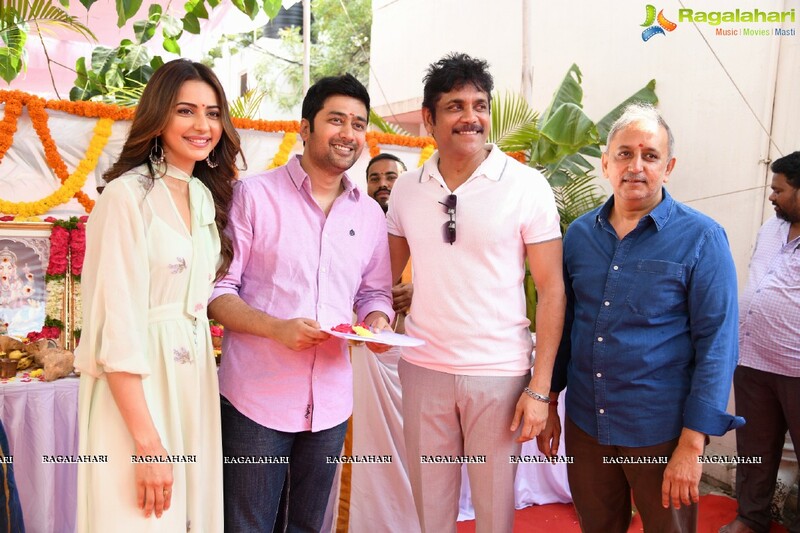 Nagarjuna, Rakul, Lakshmi, Vennela Kishore participated in this schedule. Music for the film is by Chaitan Bharadwaj. Nagarjuna and P Kiran are producing it together in association with Viacome18 Motion Pictures.